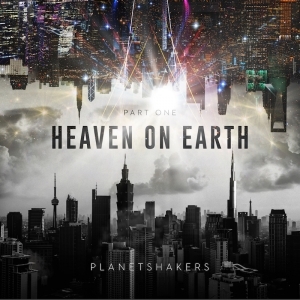 Internationally recognized praise band Planetshakers, with a mission of “empowering generations to win generations,” will independently release Heaven On Earth Part 1 April 6th on iTunes, Amazon Music, Google Play and more digital outlets, as well as through Apple Music, Spotify and other streaming sites. Recorded live at Planetshakers’ regional conferences in Philippines, Malaysia and Singapore, the EP captures the heart and dynamic praise of Planetshakers Band along with tens of thousands of worshippers. In addition to the new recording, Planetshakers Band will also premiere songs from Heaven On Earth Part 1 during the live Daystar Television Network broadcast of the annual Planetshakers Conference in Melbourne, Australia April 4 - 7 (see local listings for times). This marks the fourth consecutive year that Planetshakers has partnered with Daystar to exclusively air its conference on the network to audiences in over 180 countries around the world. The four-song, nearly 24-minute Heaven On Earth Part 1 is a tangible, intentional expression of worshippers collectively pursuing the presence of God, all led by Planetshakers’ worship leaders Sam Evans, Joth Hunt (who also produced and mixed the EP), BJ Pridham, Chelsi Nikkerud and a full team of musicians, dancers and more. The EP captures the gathering’s “praise-party” atmosphere seasoned with singing, dancing and shouts of praise. Everywhere Planetshakers traveled in Asia, they found a passionate hunger for worship and an unmatched boldness in praise and longing for God’s Kingdom to be established. Even in areas where promoters cautioned Planetshakers not to go, suggesting that people might attend a concert but not a full conference, people turned out in droves. In the Philippine capital of Manila, crowds gathered at 3 am on January 13, 2018, waiting in long lines outside SMART Araneta Coliseum to experience the conference. Pastor Russell Evans greeted the crowds, and promoters opened 2,000 extra standing-room-only passes since the 16,500-seat auditorium was already filled to capacity. Sharing the new music from Heaven On Earth Part 1 along with favorites like “The Anthem,” “Endless Praise” and “Nothing Is Impossible” while on tour, Planetshakers Band is scheduled to be in India and Europe May 12-20, the USA and South America June 21- July 1, South Africa July 13-22 and back in Asia August 3-19.